Remove everything from the pantry and toss what’s expired, stale, or past its prime. Before putting anything back, ask whether you want your family eating it. If the answer is no, out it goes! If you aren’t sure, it may be the perfect time to consult with a Registered Dietitian. 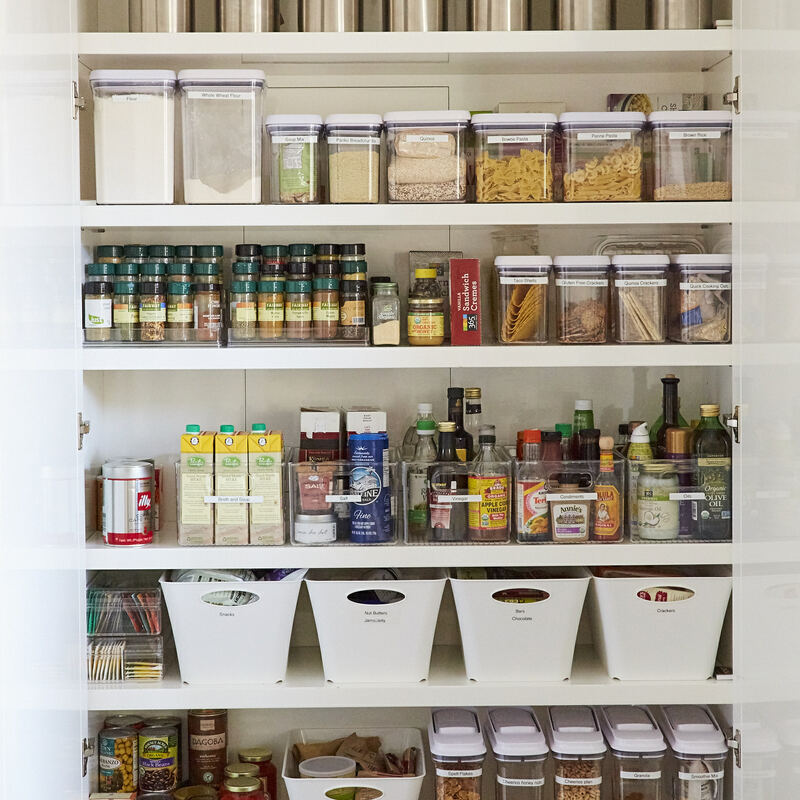 Everything in your pantry should help you meet your wellness goals. Place what you want your family to eat daily at eye level. Keep “junk food” in a harder to access location. 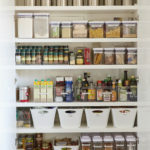 Store dry goods like flour and sugar in canisters, so they look neat and stay fresh. Group like items together. For example, canned goods and condiments should be in one area, snacks should be at another. Use bins to contain items you keep in multiples. For example, if you have a variety of tea bags, they can be in a single bin. Avoid jumbo or family sizes, especially if you’re family isn’t large or you simply don’t have adequate storage space for what you need. Label everything, so there’s no question about where items belong and what’s inside your canisters and bins. Registered Dietitian Lara Metz and Professional Organizer Barbara Reich are joining forces in their newest venture, Curated Kitchen. Their combined expertise gets to the core of how a curated kitchen will enable you to live a happier, more balanced life. Together, they will edit your kitchen, eliminate unhealthy food and unnecessary kitchen clutter and leave you with a newly stocked, better organized space to gather with family and friends. Not only will you receive recipes, nutrition, and organizing tips, but your whole family will enjoy a kitchen makeover that pleases every palate. For more information, contact Lara Metz at Lara Metz Nutrition or Barbara Reich at Resourceful Consultants.